What does an HVAC Program teach? Are you planning to pursue a career in HVAC in Connecticut? If your answer is yes, you are on the right path. HVAC technicians are in high demand in Connecticut and throughout the country as well. HVAC technicians earn much more than technicians in other trades. The Bureau of Labor Statistics expects the employment of qualified HVAC technicians to increase by 14% from 2014-2024. Learn HVAC from an accredited institute and start a great career. This article will provide you important information about HVAC training and career opportunities in Connecticut. Recent statistics reveal that there is a higher demand for HVAC technicians in Connecticut than ever before. The average hourly wage of an HVAC technician in Connecticut is $ 26.28 while one can earn up to $36.77. The average yearly salary is $ 54,660, while you can earn as high as $76,490. Finding the right HVAC training program is crucial towards success. Depending on the level of training, duration of a program can be between six months and two years. The right program will teach you the required skills and prepare you for license examinations. 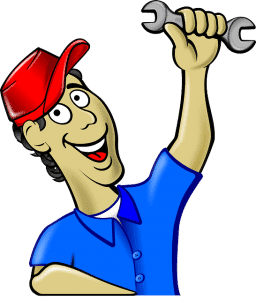 You will learn to install, maintain, repair and troubleshoot HVAC systems. You will also learn to diagnose problems in complex electronic controls, ducts, motors, and other parts; repair refrigerant controls, ductless splits, heat pumps, electric motors, intake and exhaust humidifiers, etc. Preventive maintenance and compliance with federal and state environmental laws are crucial parts of training. Their HVAC programs are offered at East Windsor and New Britain campuses. Porter and Chester Institute offers HVAC training at their Stratford and Branford locations. Their different programs teach installation, repair and maintenance of heating, ventilating, air conditioning and refrigeration. They provide sufficient hands-on experience in most of the real-time HVAC problems so that students are well prepared to deal with all kinds of on-job problems. Their HVAC programs are offered at Branford, Enfield, Rocky Hill, Stratford, and Waterbury campuses. Industrial Management Training Institute (IMTI) is another highly reputable technical institutes in Connecticut. IMTI has been successfully training HVAC technicians since 1986. They offer online and on-campus courses with a good combination of theory and practical training preparing students to take on the tough job requirements. HVAC courses at IMTI range from Core to Level 4. They also offer license exam review classes. The on-campus programs are offered at Waterbury campus. Learning HVAC from an accredited institute will increase the chances of working with reputable companies and ensure a great career. To work as an HVAC technician in Connecticut, you require a license from the Connecticut Department of Consumer Protection. More details about prerequisites and application process are available on their website. The requirements to qualify for a Contactor license examination are two (2) years as a properly licensed journeyperson or equivalent experience and training. To get a contractor license you must also pass a trade exam and a business and law exam. The requirements to qualify for a Journeyperson license examination are the completion of a registered apprenticeship program or equivalent experience and training. HVAC technician licenses in Connecticut are awarded by Department of Consumer Protection and the exams are conducted by PSI Exams. Plan and study well for your exam. Feel free to check out our practice tests or our study guide. Depending on the exam you take, the duration will be between 2 hours and 3 hours while the number of questions will be 60, 70 or 80. You must score 70 % to pass these exams. Please note that you must also pass a trade exam and a business and law exam. There is a lot of room for growth in the career of an HVAC technician and you can enjoy a stable and rewarding career. We have made our best efforts to provide you with the necessary information. We would encourage you to make your own research and make the best decision.